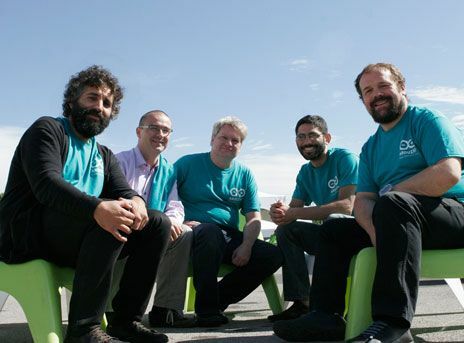 The Arduino core team [from left]—David Cuartielles, Gianluca Martino, Tom Igoe, David Mellis, and Massimo Banzi—get together at Maker Faire in New York City. The team recently unveiled the Arduino Due, a board with a 32-bit Cortex-M3 ARM processor that offers more computing power for makers with complex projects. Click to enlarge. The picturesque town of Ivrea, which straddles the blue-green Dora Baltea River in northern Italy, is famous for its underdog kings. In 1002, King Arduin became the ruler of the country, only to be dethroned by King Henry II, of Germany, two years later. Today, the Bar di Re Arduino, a pub on a cobblestoned street in town, honors his memory, and that’s where an unlikely new king was born. The bar is the watering hole of Massimo Banzi, the Italian cofounder of the electronics project that he named Arduino in honor of the place. 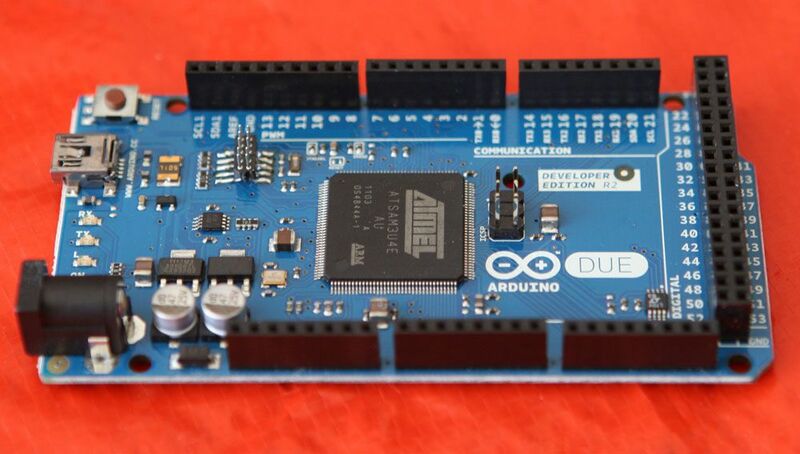 Arduino is a low-cost microcontroller board that lets even a novice do really amazing things. You can connect an Arduino to all kinds of sensors, lights, motors, and other devices and use easy-to-learn software to program how your creation will behave. You can build an interactive display or a mobile robot and then share your design with the world by posting it on the Net. Released in 2005 as a modest tool for Banzi’s students at the Interaction Design Institute Ivrea (IDII), Arduino has spawned an international do-it-yourself revolution in electronics. You can buy an Arduino board for just about US $30 or build your own from scratch: All hardware schematics and source code are available for free under public licenses. As a result, Arduino has become the most influential open-source hardware movement of its time. The little board is now the go-to gear for artists, hobbyists, students, and anyone with a gadgetry dream. More than 250 000 Arduino boards have been sold around the world—and that doesn’t include the reams of clones. “It made it possible for people do things they wouldn’t have done otherwise,” says David A. Mellis, who was a student at IDII before pursuing graduate work at the MIT Media Lab and is the lead software developer of Arduino. Arduino rose out of another formidable challenge: how to teach students to create electronics, fast. It was 2002, and Banzi, a bearded and avuncular software architect, had been brought on by IDII as an associate professor to promote new ways of doing interactive design—a nascent field sometimes known as physical computing. But with a shrinking budget and limited class time, his options for tools were few. Like many of his colleagues, Banzi relied on the BASIC Stamp, a microcontroller created by California company Parallax that engineers had been using for about a decade. Coded with the BASIC programming language, the Stamp was like a tidy little circuit board, packing the essentials of a power supply, a microcontroller, memory, and input/output ports for attaching hardware. But the BASIC Stamp had two problems, Banzi discovered: It didn’t have enough computing power for some of the projects his students had in mind, and it was also a bit too expensive—a board plus basic parts could cost about US $100. He also needed something that could run on Macintosh computers, which were ubiquitous among the IDII designers. What if they could make a board that suited their needs themselves? Banzi had a colleague from MIT who had developed a designer-friendly programming language called Processing. Processing was rapidly gaining popularity because it allowed even inexperienced programmers to create complex—and beautiful—data visualizations. One of the reasons for its success was an extremely easy-to-use integrated development environment, or IDE. Banzi wondered if they could create similar software tools to code a microcontroller instead of graphics on a screen. A student in the program, Hernando Barragán, took the first steps in that direction. He developed a prototyping platform called Wiring, which included both a user-friendly IDE and a ready-to-use circuit board. It was a promising project that continues to this day, but Banzi was already thinking bigger: He wanted to make a platform that was even simpler, cheaper, and easier to use. The first prototype board, made in 2005, was a simple design, and it wasn’t called Arduino. Massimo Banzi would coin the name later that year. The Arduino team contracted with a company that can manufacture from 100 to 3000 boards per day at a facility near Ivrea, Italy. Click to enlarge. The open-source model had long been used to fuel innovation for software, but not hardware. To make it work, they had to find an appropriate licensing solution that could apply to their board. After some investigation, they realized that if they simply looked at their project differently, they could use a license from Creative Commons, the nonprofit group whose agreements are normally used for cultural works such as music and writing. “You could think of hardware as piece of culture you want to share with other people,” Banzi says. 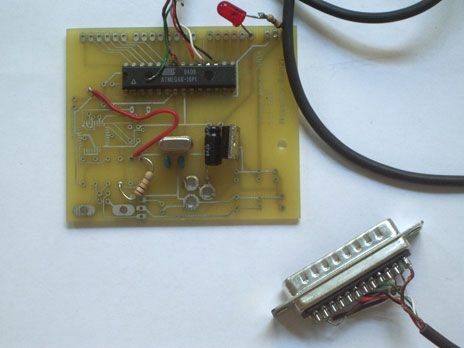 The product the team created consisted of cheap parts that could easily be found if users wanted to build their own boards, such as the ATmega328 microcontroller. But a key decision was to ensure that it would be, essentially, plug-and-play: something someone could take out of a box, plug into a computer, and use immediately. Boards such as the BASIC Stamp required that DIYers shell out for half a dozen other items that added to the total cost. But for theirs, a user could just pull out a USB cable from the board and connect it to a computer—Mac or PC—to program the device. “The philosophy behind Arduino is that if you want to learn electronics, you should be able to learn as you go from day one, instead of starting by learning algebra,” says another member of the team, telecommunications engineer David Cuartielles. The team would soon put that philosophy to the test. They handed 300 blank printed circuit boards to the IDII students with a simple directive: Look up the assembly instructions online, build your own board, and use it for something. One of the first projects was a homemade alarm clock that hung from the ceiling by a cable. Whenever you hit the snooze button, the clock would rise tauntingly higher into the air until you just had to get up. Soon other people heard about the boards. And they wanted one. The first customer was a friend of Banzi’s, who ordered one unit. The project was starting to take off, but one major thing was missing—a name for their invention. One night over drinks at the local pub, it came to them: Arduino, just like the bar—and the king. In that regard, the success of Arduino owes a lot to the prior existence of Processing and Wiring. Those projects gave Arduino one of its essential strengths: the user-friendly programming environment. Before Arduino, coding a microcontroller brought with it a difficult learning curve. With Arduino, even those with no previous electronics experience gained access to a previously impenetrable hardware world. Now, beginners don’t have to learn much before they can build a prototype that actually works. It’s a powerful movement at a time when some of the most popular gadgets out there work as “black boxes” that are closed and patent protected. To fuel greater adoption of Arduino, the team is exploring how to integrate it more deeply into the education system, from grade schools to colleges. Several universities, including Carnegie Mellon and Stanford, already use Arduino. Mellis has been studying how students and laypeople take to electronics in a series of workshops at the MIT Media Lab. Mellis invites 8 to 10 people to the lab, where they’re given a task to complete over the course of a day. The projects have included building iPod speakers, FM radios, and a computer mouse using some of the same components that Arduino uses. But spreading the Arduino gospel is only part of the challenge. The team must also keep up with demand for the boards. In fact, the Arduino platform doesn’t consist of one type of board anymore—there’s now an entire family of boards. In addition to the original design, called the Arduino Uno, the new models include a more powerful board called the Arduino Mega, a compact board called the Arduino Nano, a waterproof board called the LilyPad Arduino, and a recently released, Net-enabled board called the Arduino Ethernet. Arduino has also created its own cottage industry for DIY electronics. There are more than 200 distributors of Arduino products around the world, from large companies such as SparkFun Electronics, in Boulder, Colo., to mom-and-pop operations serving local needs. Banzi recently heard from a man in Portugal who quit his job at the phone company to sell Arduino products from his home. Arduino team member Gianluca Martino, who oversees production and distribution, says they’re working overtime to reach emerging markets such as China, India, and South America. At this point, he says, about 80 percent of the Arduino audience is split between the United States and Europe, with the rest scattered around the world. Because the team can’t afford to stock hundreds of thousands of boards, they instead produce anywhere from 100 to 3000 per day at a manufacturing facility near Ivrea. The team created a custom system for testing the pins on each board, which for the Uno includes 14 digital I/O pins, 6 analog input pins, and another 6 pins for the power supply—a big quality-assurance challenge when you’re handling thousands of units a day. The Arduino board is inexpensive enough for the team to promise to replace any board that doesn’t work. Martino says the failure rate is below 1 percent. The Arduino team is now earning enough to support two of its members as full-time employees and is making plans to bring even more circuit board power to the people. In September, at the Maker Faire, a convention in New York City sponsored by Make magazine, the team launched its first board with a 32-bit processor—an ARM chip—up from the 8-bit one of the past. This will serve the demand for powering more robust peripherals. The MakerBot Thing-O-Matic, for example, is a 3-D printer kit built on Arduino, but it would benefit from a faster processor to achieve more complicated tasks. Arduino got another boost this year when Google released an Arduino-based developer board for its Android system. Google’s Android ADK, or Accessory Development Kit, is a platform that lets an Android phone interact with motors, sensors, and other devices. You can build an Android app that uses the phone’s camera, motion sensors, touch screen, and Internet connectivity to control a display or robot, for example. Enthusiasts say that the added Android capability opens up the possibilities for Arduino projects even more. In the meantime, they’re enjoying their unlikely fame. Fans travel from far away just to have a drink at the pub in Ivrea where the phenomenon got its name. “People go to the bar and say, ’We’re here because of the Arduino board,’ ” Banzi says. There’s just one problem, he adds with a laugh: The bartenders don’t know what the Arduino board is.